Sometimes things aren’t exactly as they appear. It always amazes me that when I am surprised by my reflection (like I round the corner and you myself in a mirror at a distance) that I never recognize myself. Sometimes I will think things about this other girl and then realize that is the way I really look. Not the way I perceive myself in my mirrors at home. And that is just crazy to me. Sometimes the way I think I look is completely deluded from the reality staring back at me in my surprise reflection. All of this reminded me of a really neat art exhibit I saw in Brownsville at the Museum of Fine Art called Celebrating Space. There was a video with Whoopi Goldberg narrating but I found myself completely and totally consumed by the fact that humans are 10 something-or-anothers of dark matter. What they hey? Seriously after that point I was trying to remember 10 what? and How could I not know this about myself, isn’t this kind of a big deal? After the movie came to an end we were able to walk around the art exhibit and see photographs of space that looked like the most amazing art you have ever seen. So colorful and vibrant and brilliantly abstract. It was amazing stuff really. Since then I’ve been thinking a lot about space and when I saw a chick in some galaxy printed leggings at Target I decided I’m back into the whole thing that was so huge a few years ago. My first try I wasn’t sure about. 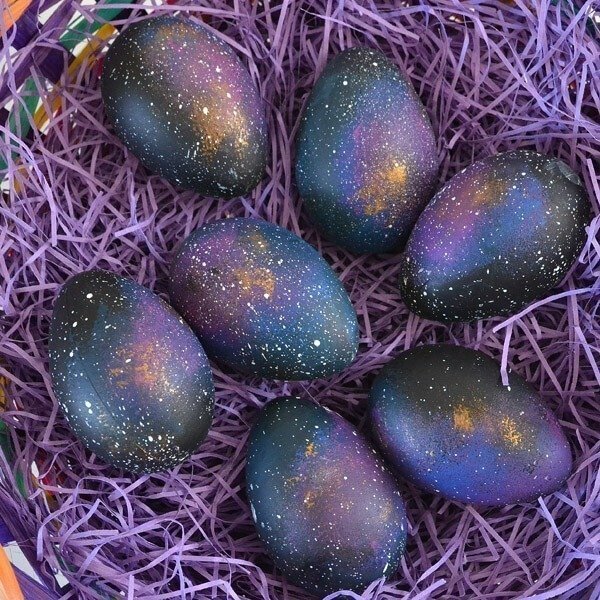 I texted a pic to my sister to see if my egg actually looked, in fact, like a galaxy as hoped or just plain ol’ crap. When both she and her husband thought this one little egg was awesome and warranted several more, I had the greenlight of confidence to start pumping these babies out. And it just so happens that I am stupid in love with them! 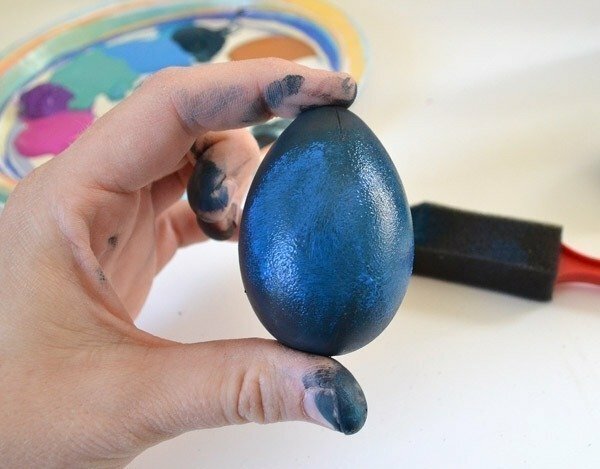 Want to paint up the most epic Easter craft ever? 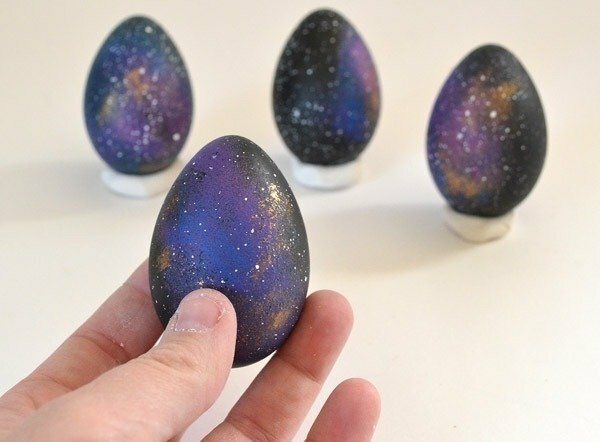 Let’s make some Galaxy Easter Eggs! 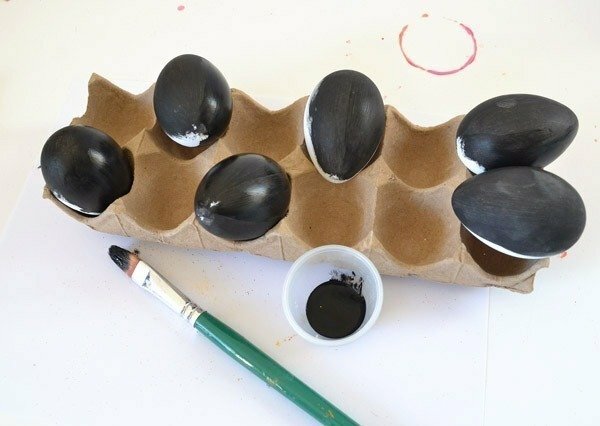 So the first thing I did was started to paint my white eggs black. This was taking FOREVER and then I remembered that right by these lovely white eggs at Walmart were chalkboard ones, too. And since those just so happened to already be black, I decided it was worth it to head into town and snag some of those. 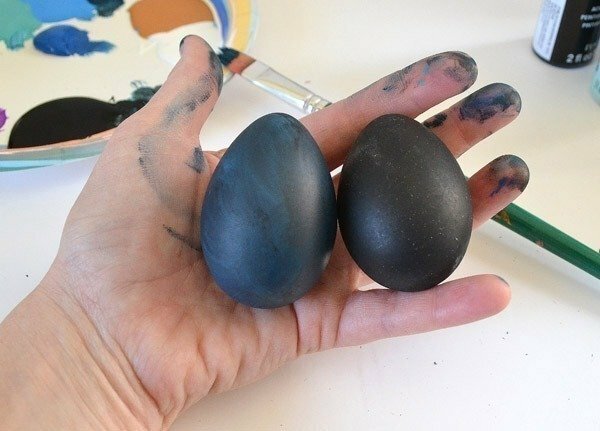 You can do this either way but if you’re impatient, starting with the black eggs is the way to go. The one on the left is 2 coats of acrylic that took about 15 minutes of time to paint TWO! 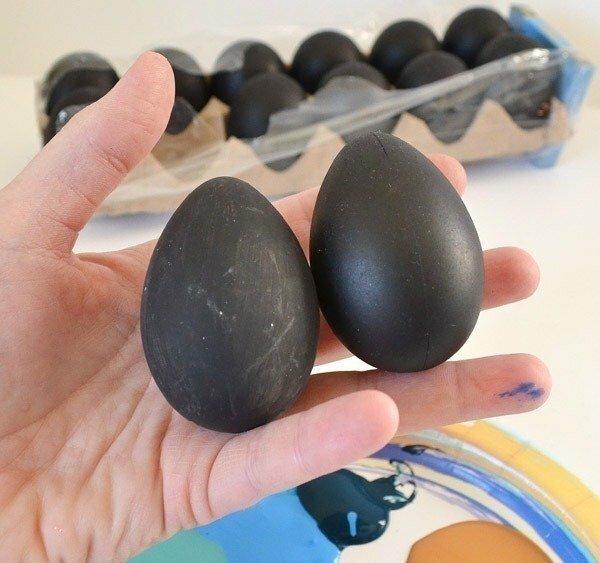 The other is the already black egg! 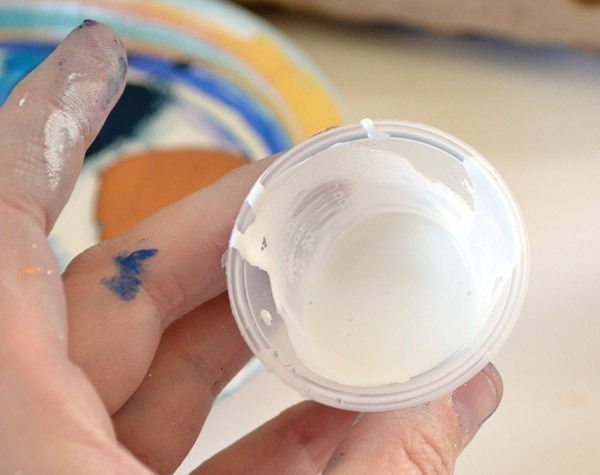 You’ll need to grab some craft acrylic paints in tones of blue and purple PLUS black, white and gold. The colors don’t have to be anything specific so just use what you have already accumulated in your stash! 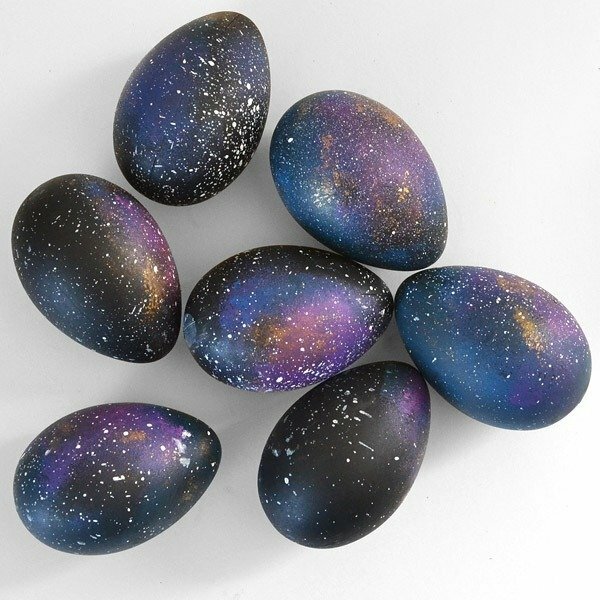 To make things interesting and keep all of the eggs from being too similar, I painted galaxies on some that were straight up black from the packaging. On others I swirled colors to give it a different look. To make the swirled background, take any paintbrush with moderately soft bristles and smooth on your blue tones haphazardly. 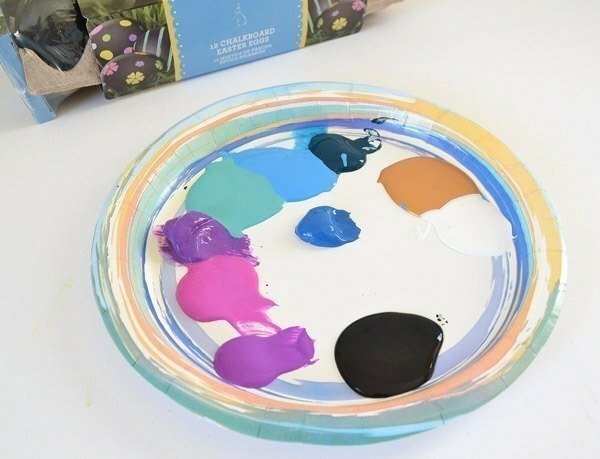 While these colors are still wet, dip your brush into the black paint and swirl the colors around. 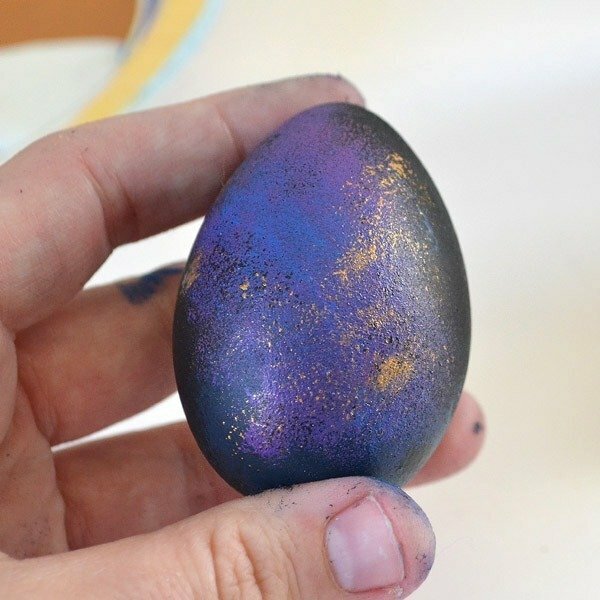 Don’t brush too much or you’ll just mix the colors up and have an almost solid egg rather than the pretty cloudy look. 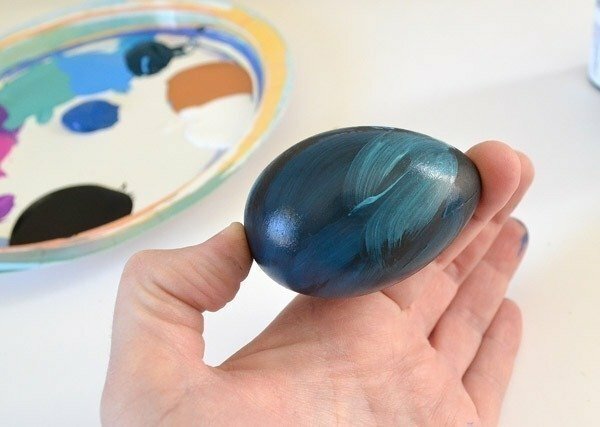 Grab a cheapie sponge brush and start with your darkest color (mine is a teal that is difficult to see) and then daub your next darkest blue on top making sure you can still see sections of the darker, especially around the edges. Allow to dry. 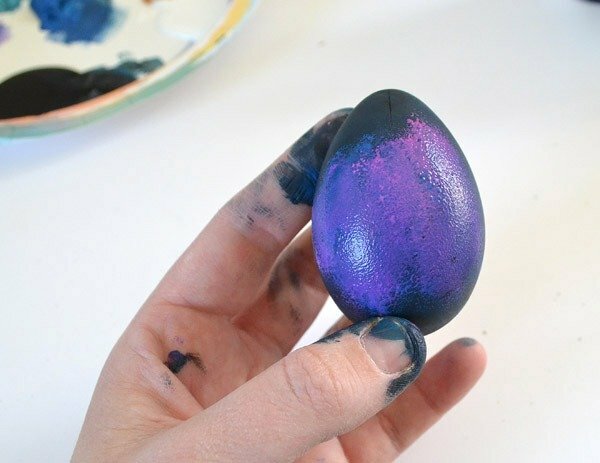 Onto your dry egg, daub purple and then pink on top of the existing blob of colors. Allow to dry again. Take a different sponge brush and just BARELY dip it in the black. 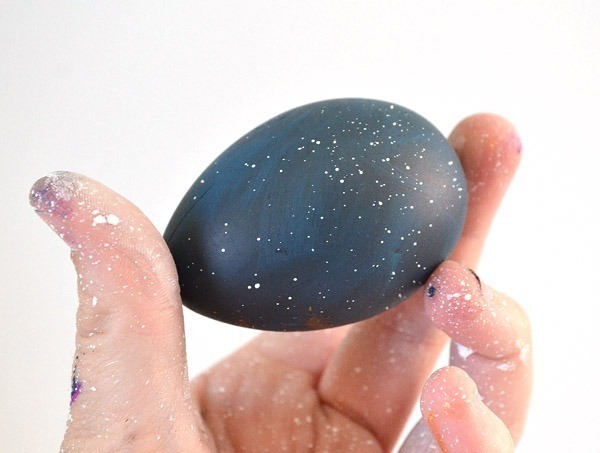 Lightly touch to the surface of the egg to add black speckles. This might be a good thing to practice before hitting up all of your hard work on the eggs. Next lightly dip another sponge brush into the gold. 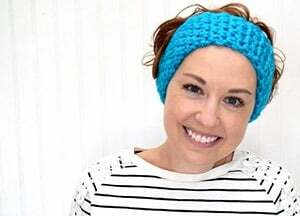 Lightly daub the color on sporadically or wherever you see fit. Grab that white paint and put it into something small. I like these medicine measuring cups. Add a tiny amount of water to thin it out to the consistency similar to a milkshake that you can actually get through the straw. Let go of the bristles and the white paint with splatter. 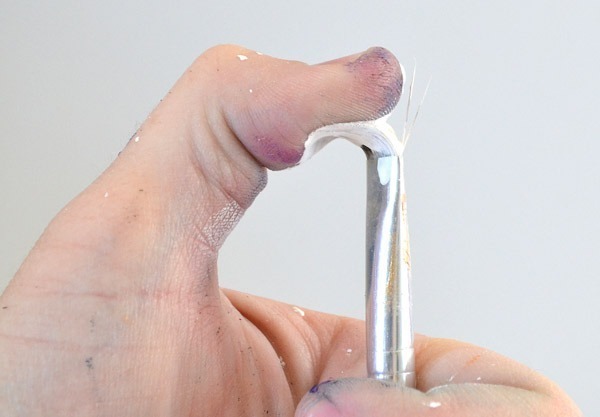 This is another technique that is good to practice and make sure you like the consistency of your paint as well as the distances required to make different patterns of speckles (think larger or smaller, further apart or densely speckled). 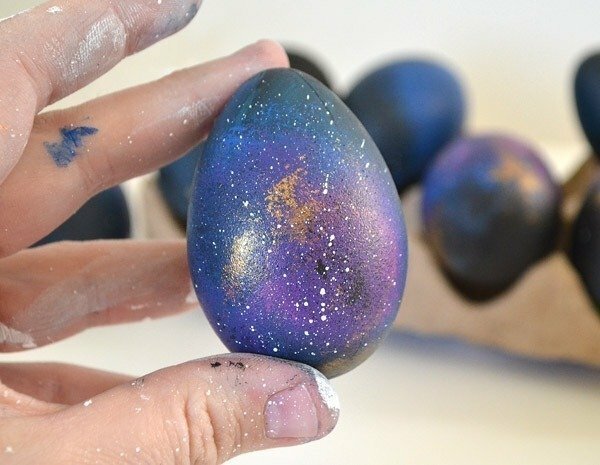 Be sure to speckle some white paint stars onto the rest of the egg that doesn’t have the galaxy painted on. 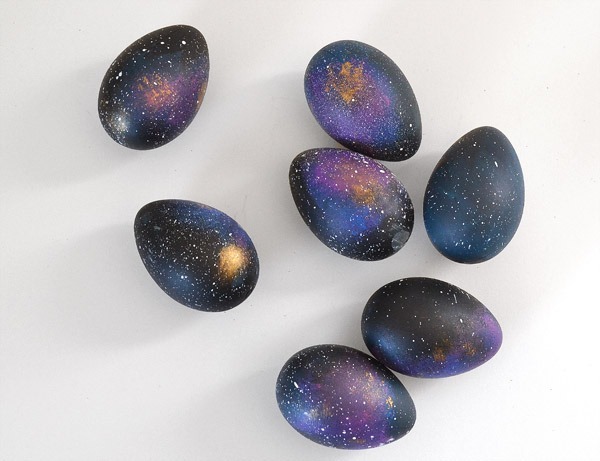 It’s pretty awesome how totally random your galaxy eggs will turn out. Don’t worry about making them uniform, just get after it and you’ll see how awesome the variety can be! 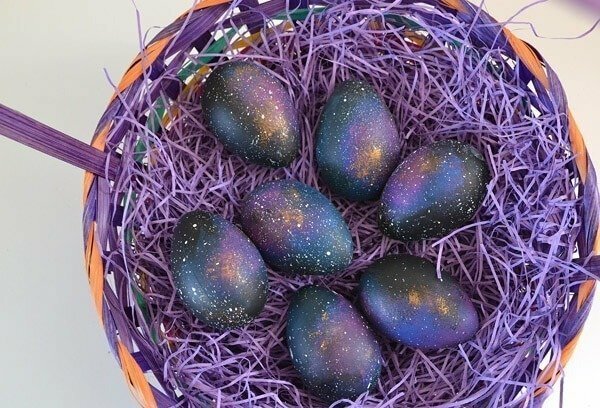 Want some EGGstraordinary Easter Projects? We’ve got you covered!